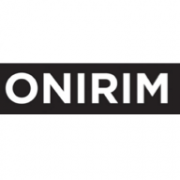 Creative Production Compagny Onirim ONIRIM IS A CREATIVE PRODUCTION COMPANY. WE REPRESENT DIRECTORS AND PHOTOGRAPHERS. WE PRODUCE COMMERCIALS, BRAND CONTENT AND PHOTOS.